Santa Barbara Krav Maga News March 2019! International Women’s Dayis on March 8th. Celebrate the women that make a difference in your life! I’d like to acknowledge one of our own. We have many female instructors and students that are absolutely amazing in and out of the studio. Leana Gutierrez is a prime example! She is a dedicated Brown belt and a Lead Instructor on her way to Black belt! She instructs multiple classes a week and seminars. She always makes the effort and time to train her curriculum diligently. Going to Grad School full time in Los Angeles for her degree and taking care of her family, she is an amazing, caring daughter and a wonderful person. Leana absolutely blows me away with her love for the community and her hard work to always strive for more. 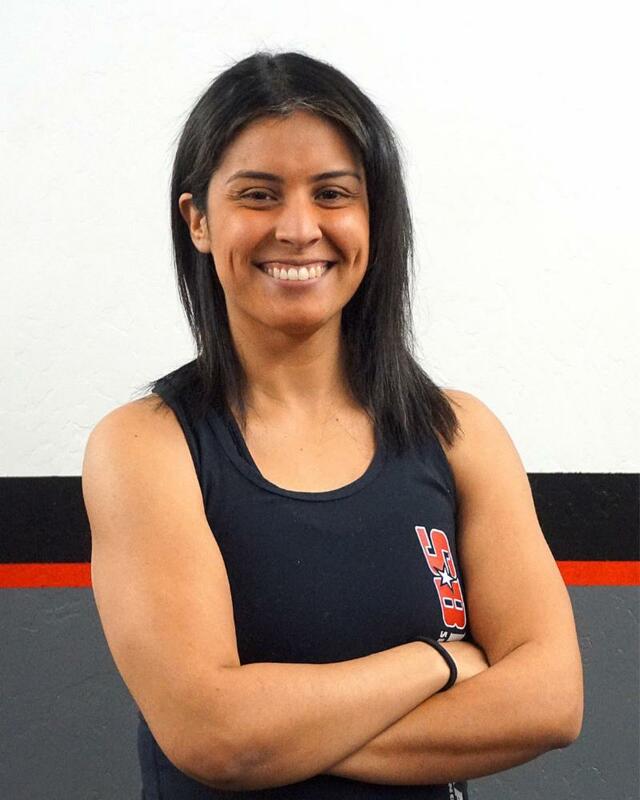 She is a phenomenal, energetic, motivating and passionate instructor/ student. If you see her in the studio or elsewhere, let her know! 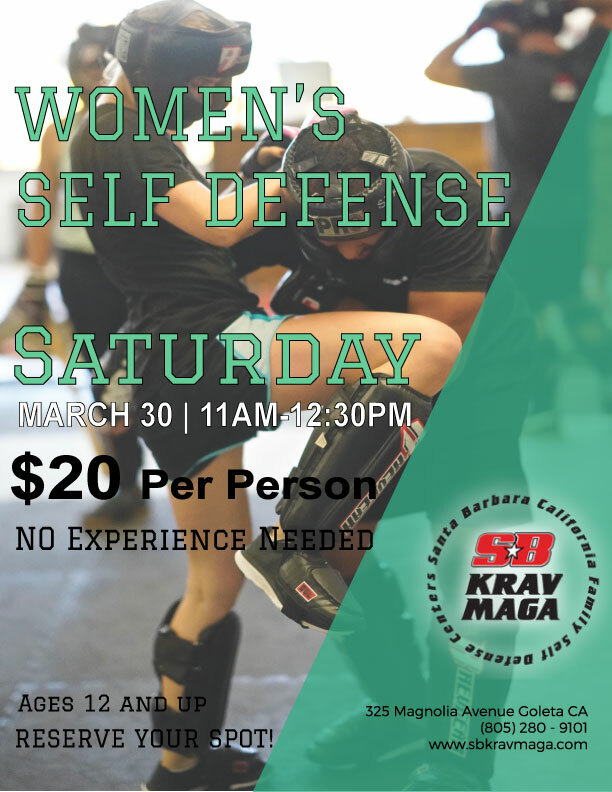 Women’s Self Defense will be hosted Saturday, March 30th, 11a -12:30p. No experience needed, ages 12 and up. Bring in friends and family for this ALL LEVEL seminar! A great cardio and empowerment class. Let’s do it! 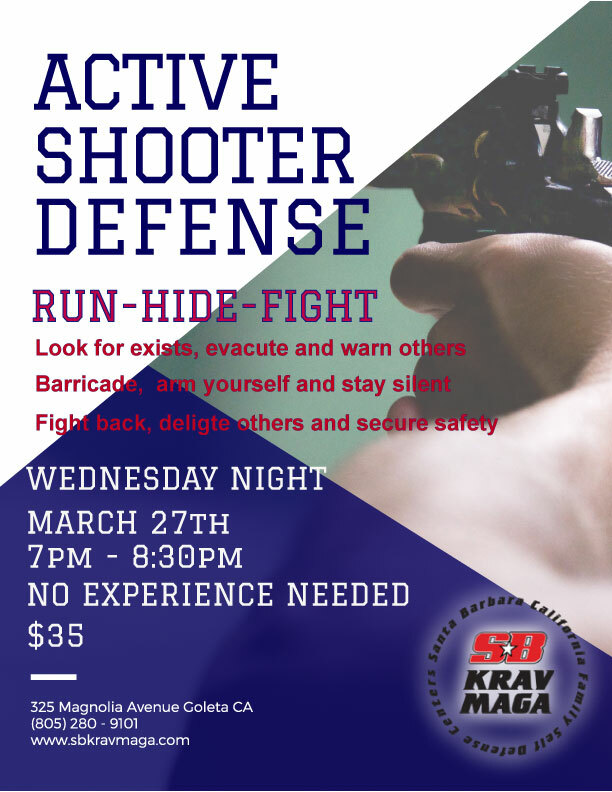 We are also hosting a $35Active Shooter Defense Seminar on Wednesday March 27th. 7p- 8:30p No regular classes that evening. Reserve a spot online or in studio! Strengthen your training this month. All levels welcome no experience needed. Spread the word about this valuable training course! Look out for our April newsletter next month and check out our training online! As always, feel free to contact us directly with any questions or concerns.